Tonic Hair Salon is composed of a squad of master stylists, specializing in transformative hairstyles that merge fashion with function. Not only are we dedicated to following new trends, we set them. Our salon provides premier customer service complemented with a skilled mastery of precision and dexterity. 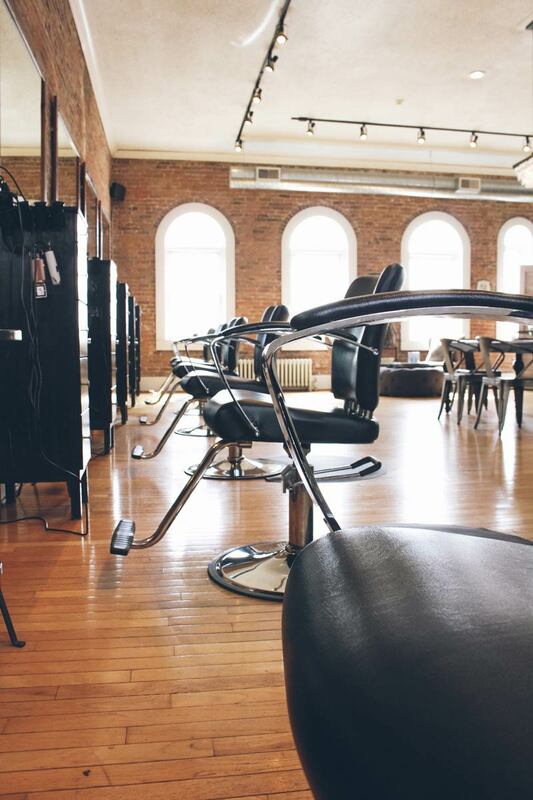 Established in 2012 by our Head Stylist and owner, Becky Hoot, we quickly moved up to our unique loft location in the heart of the Williamsville Village. Our space has been specially designed in order to give you that “one of a kind” hair experience. Here you can feel free to walk into a place of community, let your hair down, and leave the rest to us. Rest assured, our team is dedicated to our craft; keeping ourselves on the forefront of the latest training and trends. Our desire is to always be refining our skill, ensuring that your hair is never compromised through the use of sustainable products and technique. Who are we? We’re a family; some might even call us a coven. Or, simply, a group of friends who share a genuine passion for the hair industry. We take pride in the culture we have created, and look forward to having you as our guest. My hair stylist & his coworkers are amazing & always on point with anyone's hair they touch. They are all wonderful & very accommodating to whatever your needs may be. Absolutely love going here! I have been getting my hair done here for about 1 1/2 hrs. The staff is wonderful and they know what they’re doing. You get what you ask for, I’ve never been disappointed. They always make you feel welcome. I had the best haircut in my life here, and then I got it twice more! Ask for Emily - she's fantastic. The decor and atmosphere are very hip and relaxing. I love this salon. Love, love love, love. I've been going to Tonic and seeing Becky for about two, maybe three years now. She always does a great job and has wonderful advice. Highly recommended! I've seen multiple stylists here (due to needing a last minute appointment and taking whoever is available) and have left happy every time! The work they do is amazing and the salon itself is not only gorgeous but very clean. I highly suggest this place to anyone who wants a high quality cut and color and a VERY reasonable cost! 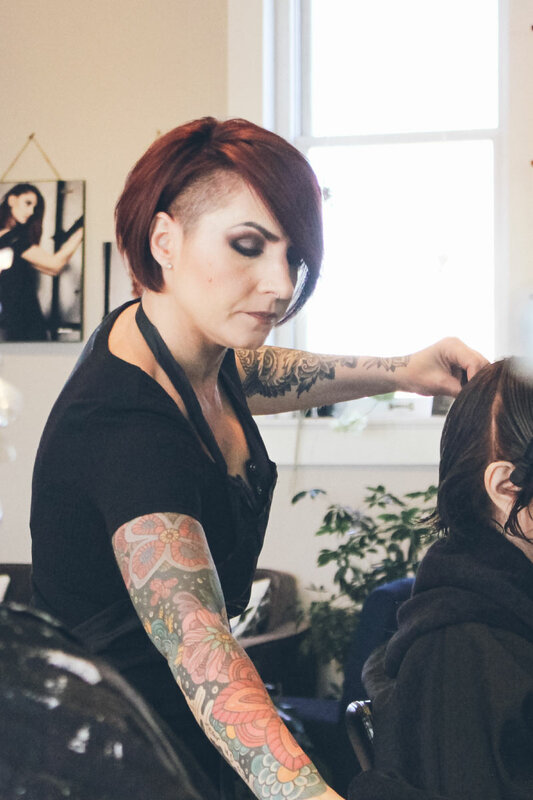 This place is great: the location is convenient, the atmosphere is warm and inviting, the salon itself is very clean, and the stylists know what they're doing. It's also a huge bonus that they are really nice and have positive attitudes; their commitment to customer service is refreshing, especially given some of the sour (read: miserable) people I've encountered at other salons/spas. Tonic has a hip and modern vibe. The staff is very curtious, accommodating, and incredibly talented. I would recommend this salon to anyone looking for such an institution. View our complete list of services and book online with your stylist of choice.